Birth date and place 16 Feb 1829 Pitminster, Somerset, England. England, Wales & Scotland Luxhay Cottage, Pitminster, Taunton, Somerset (1841). Winchester Barracks, St Thomas, Winchester, Hampshire (1851). New Street, Blackrod, Wigan, Lancashire (1871). Physical Description Height: 5 ft. 5½ ins. Complexion: fair. Eyes: hazel. Hair: light brown. Marriage date and place 19 Jul 1860 St Andrew & St Mary’s Church, Pitminster, Somerset. See sidebar. Children Elizabeth Ann b. 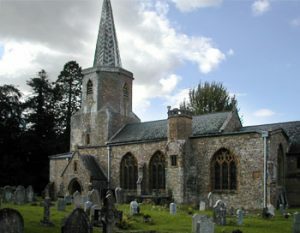 1864, Pitminster, Somerset. John b. 1865, Clifton, Gloucestershire. William b. 1868, Wigan, Lancashire. Death date and place 25 May 1898, Fremantle, Western Australia. Burial date and place 25 May 1898, Skinner Street Cemetery, Fremantle, Western Australia. Death Notices and Obituaries West Australian 25 May 1898. 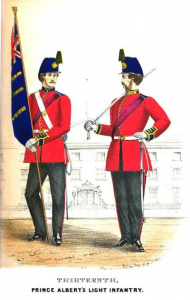 Regiment(s) 13th (Prince Albert’s Light Infantry) Regiment. Regiment No. and Rank #2395 Private. Attestation date and place 16 Feb 1846 Taunton, Somerset (aged 17 years). Service/Campaigns Gibraltar 4 years 3 months. Turkey & Crimea 1 year. Cape of Good Hope 1 year 4 months. Musters WO11-3068 Stirling,Scotland & Manchester (Q1 1851). 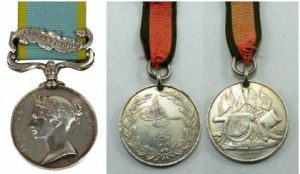 Medals, Clasps and Badges Crimea War Medal clasp Sebastopol. Turkish Crimea Medal. Casualty/Medical This man’s vision is impaired from Ophthalmia. No further history of his case is furnished. Unfit for further services in consequence of chronic ophthalmia both eyes [July 5th 1858]. Chronic opacity and vascularity of both cornea of a passive character affecting more especially the left eye [Dr Maclachlan 6/6/60]. Discharge date and place 10 Aug 1858 Chatham. Length of Service 11 years 177 days. Post Discharge Residence Taunton, Somerset. Post Discharge Pension District Taunton (1858). Bristol (1864). Pension Amount 7d. per diem, conditional for three years. 9d. 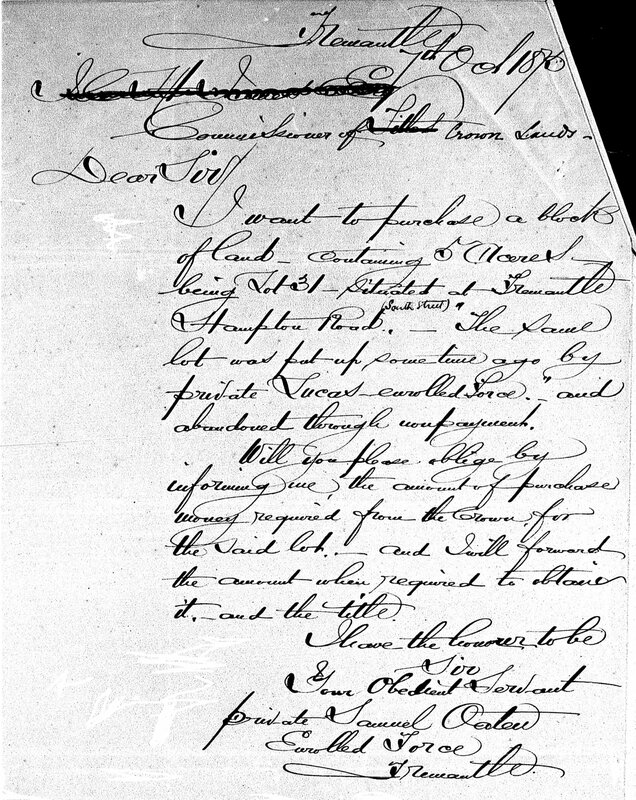 per diem conditional for one year reviewed in 1861, 1862, 1863. Permanent 1864. Increased to 11½d. per diem on 18 Jan 1881 for service EPF. 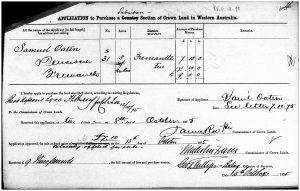 Departure and Arrival 31 Oct 1873 Woolwich; 19 Feb 1874 Fremantle. 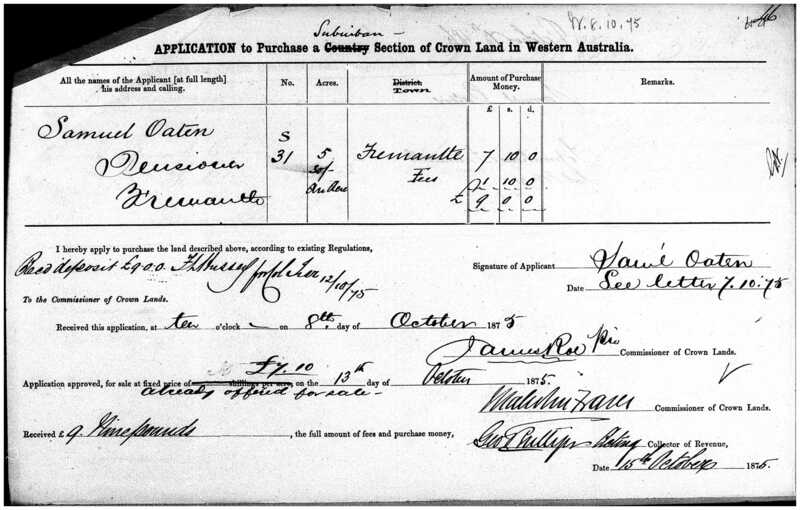 Land Grant/Purchase 15 Oct 1875 Lot S31 Fremantle, 5 acres (purchase). 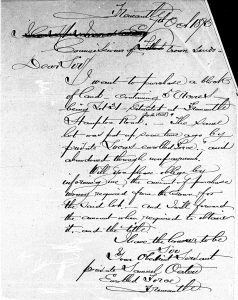 10 Nov 1884 Lot S32 Fremantle, 5 acres (grant). 22 Nov 1890 Sale of Lot S32 with 2-room cottage, lime-kiln etc. advertised in West Australian. Departure from WA Not applicable.